Martin T. McDonough M.D., J.D. Our head attorney has practiced law since 1974. 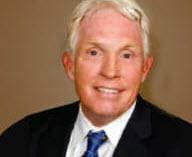 He has devoted the past 25 years of his practice to medical malpractice. He graduated from Hahnemann Medical School 15 years after law school. Dr. McDonough's education and extensive experience make him a formidable advocate for anyone who has suffered injury, impairment or death because of a medical error or medical mistake.